As I’ve mentioned in a previous post, The Big Eat, there’s a new bakery on my radar. The French Oven can be found baking up a storm in the Grainger Market in Newcastle. How this escaped me for so long I do not know, but I’m glad they’ve caught my attention now. And caught my attention they have. These lovely people are responsible for some of the best French style baking this side of the channel. Or this side of the Tyne at least. The French Oven are a small Artisan bakery, churning out a daily offering of rustic but perfectly formed breads, French tarts, flans and pies, and the most perfect Macarons. All for exceptionally reasonable prices. One Macaron will set you back £1 or eight for £6. They come in an assortment of fabulous flavours including Strawberries & Cream, Pistachio, Coconut, Pinapple Swirl, Popcorn, Nutella, Parma Violet and Pimms, among others. C’est magnifique! These aren’t the usual shoddy and stodgy English attempt at Parisian Macarons either. Neither do they taste like the poor attempt Marks & Spencers are currently offering. They are simply delicioux, light and fluffy, and full of sugar. Just how I like em. They recently brought out The Giant Macaron. A large raspberry concoction filled with fresh raspberries and custard priced at £2. Utterly dreamy. They even reserved a couple for me to pick up and share with a friend as I couldn’t get away from work in time. I believe they are in fact still taking orders on twitter here. The French Oven, I am told, also cater for events such as weddings. A tower or macarons would be a tasteful addition to any event and your guests would certainly thank you for it! Pleased to see yet more additions to the diversity of food culture on Tyneside. Especially when it’s French cuisine. 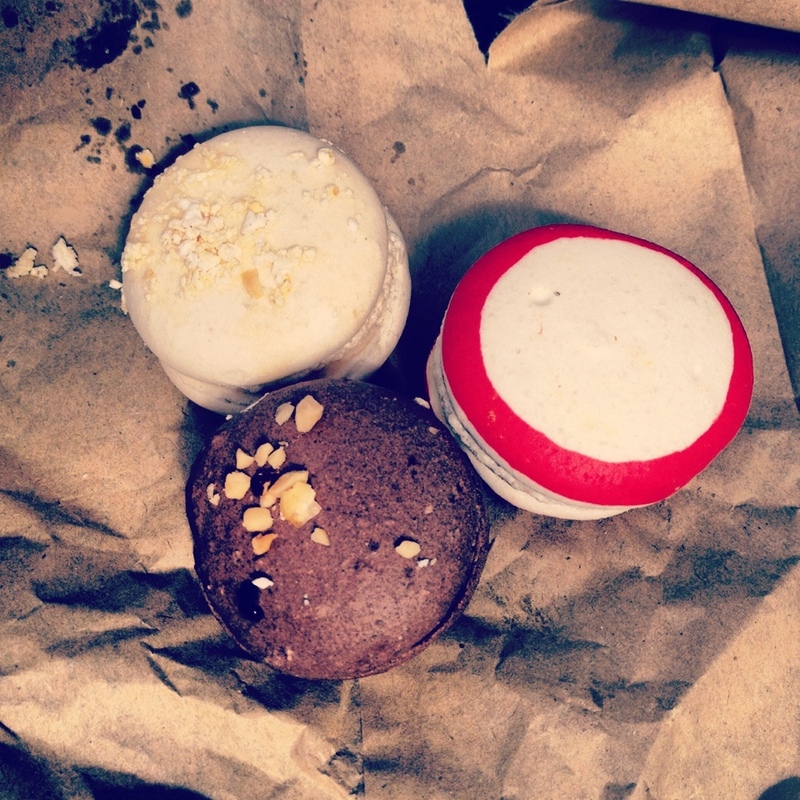 Vive le Macaron!